BlazBlue is a series somewhat known for its music. It features composer Daisuke Ishiwatari, the creator and composer for the venerable Guilty Gear series, so it stands to reason that the sister series would have a good soundtrack as well. 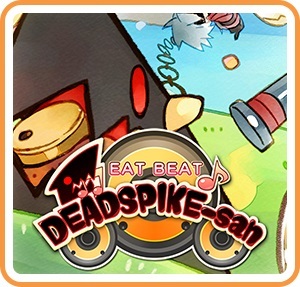 Arc System Works thought so as well, and took advantage of the popularity of the series and its music by making a rhythm game spin-off, called Eat Beat Dead Spike-san, and releasing it on mobile devices in Japan in January 2015; and now, the game has been ported to Nintendo Switch and released worldwide. Eat Beat Dead Spike-san follows Dead Spike-san, the creature summoned by Ragna’s Dead Spike attack in BlazBlue, as he eats food (and some other things) to try and become stronger so Ragna can win more fights. The story really doesn’t matter that much – this being a mobile rhythm game – and it’s more about the music and gameplay than anything else. You have the option to play as Dead Spike-san and Ragna, Ouroboros and Hazama, or Nirvana and Carl, as well as yukata versions of all three, but the choice is strictly aesthetic and doesn’t affect the game in any mechanical way. Also, the menus use the B button to accept and the A button to cancel, which doesn’t affect much but takes some getting used to. I don’t think I’ve ever seen a game on a Nintendo console switch the buttons around like that, at least not anything relatively recent. It’s easy to make it look like I’m good at this game if I cherry-pick only images of me doing well. 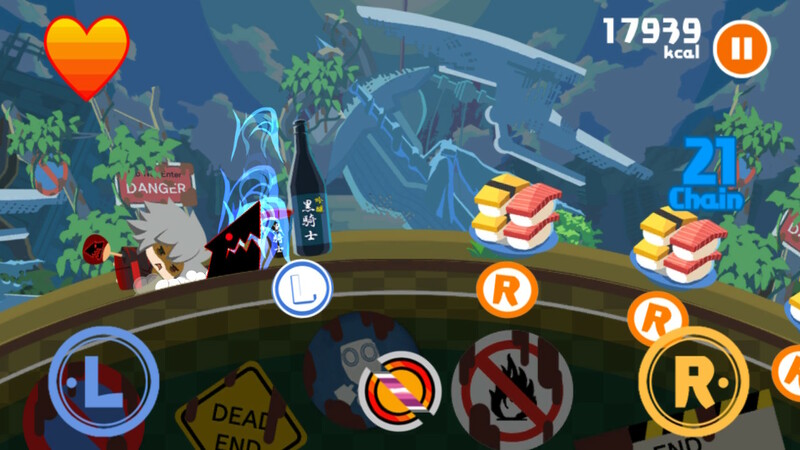 I’ve never played the mobile version of Eat Beat Dead Spike-san, but just from playing the Switch version it’s pretty clear that the game is virtually unchanged. The UI is clearly designed to be controlled with the touchscreen, with large, circular buttons to control pretty much everything. The game itself is played by pressing the L and R buttons (or left and right on the d-pad, or the Y and A buttons) as the appropriate icons scroll by in time with the music. The main game can also be controlled with the touchscreen, by tapping the large L and R icons on the screen, meaning that you can pop off the Joy-Cons and play the game with the tablet part of the Switch alone to more closely emulate the control of the original. However, based on my experience, the game just controls better and more easily with the buttons. As for how the game plays, there’s really not that much to be said. As with any rhythm game it takes some time to adjust to it and really feel comfortable, but once you’ve adapted to the game it plays as well as any other. It’s not difficult to get turned around and lose your place in alternating L and R presses, especially when notes come faster on higher difficulties, meaning that once you mess up it can be very difficult to recover. Otherwise, the controls are good and responsive, and you can manually adjust the timing to hit notes to make it feel more natural. 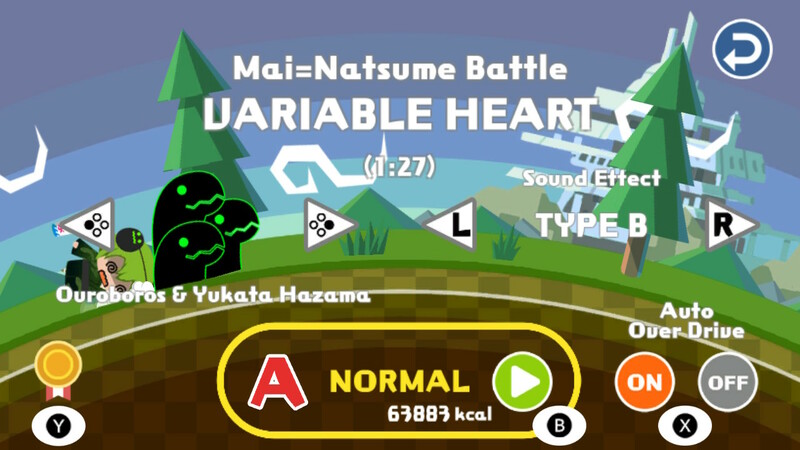 The game is also unusually forgiving for a rhythm game, with misses not taking much health away from you and recovering health quickly when you fill up the Overdrive gauge and enter Overdrive. 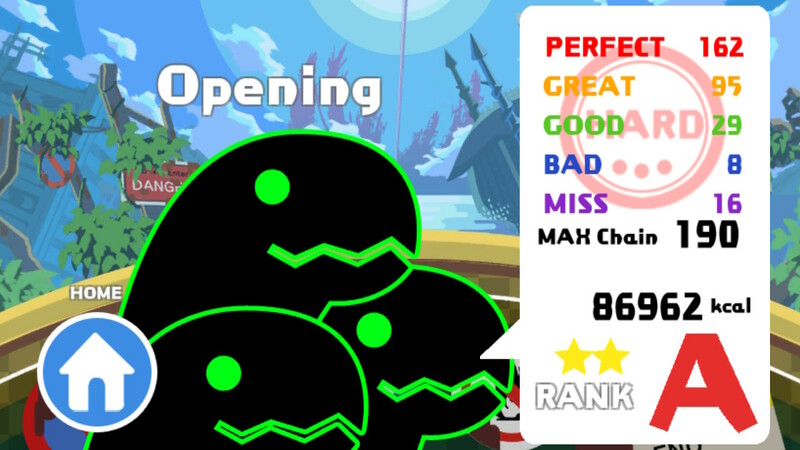 As long as you don’t horribly screw up all at once it’s not difficult to get through even harder songs on your first try, although getting a good score is a different story altogether. You also only drop a chain if you get a “bad” or “miss”, meaning that it’s less difficult to get a full combo than other rhythm games, even if it’s still not exactly easy to do. Fortunately, I’m not going to be doing that. At least, not exclusively. The music is a mixed bag for me. It’ll all depend on how much you like BlazBlue’s music, and some songs are definitely better than others. Eat Beat Dead Spike-san’s music is all over the place, with some great offerings like Jin’s theme “Lust Sin II” and Kokonoe’s theme “Science Fiction”, while also having some less-than-stellar ones like Taokaka’s theme “Catus Carnival II” and Tager’s theme “MOTOR HEAD II”. The Switch version has some new music from BlazBlue Centralfiction not present in the mobile original, including the arcade opening theme, Susanoo’s theme “MUST DIE” and Mai’s theme “VARIABLE HEART”. Not bad choices, but missing out on some of the great music added in the newer game such as Jubei’s theme “STAND UNRIVALED” (my personal favourite), Naoto’s theme “Jaeger”, or Hibiki’s theme “in the shadows”. There are also no versus themes, so no “Under Heaven Destruction”, no “White Requiem”, no “Bloodline”. There are also some good character themes from earlier games that aren’t included, such as “Spirit of Fire”, “Crystal Forest”, or “Howling Moon II”. The OST isn’t bad as it is, since it definitely still has some good tunes, but it could be better even given what it has to work with from the entire BlazBlue series. The tracks are also quite short, with the longest clocking in at just over 2 minutes, compared to their actual full lengths, but this is par for the course considering how grueling longer songs can be in rhythm games. The art is all done in a chibi style, with the same designs as used for chibi versions in the other BlazBlue games. Dead Spike-san and Ouroboros (and Nirvana, although less so) are adorable in this style, as is the way they drag the characters through the levels as they chomp their way through the music. See that score? I’m not a total failure at this game. 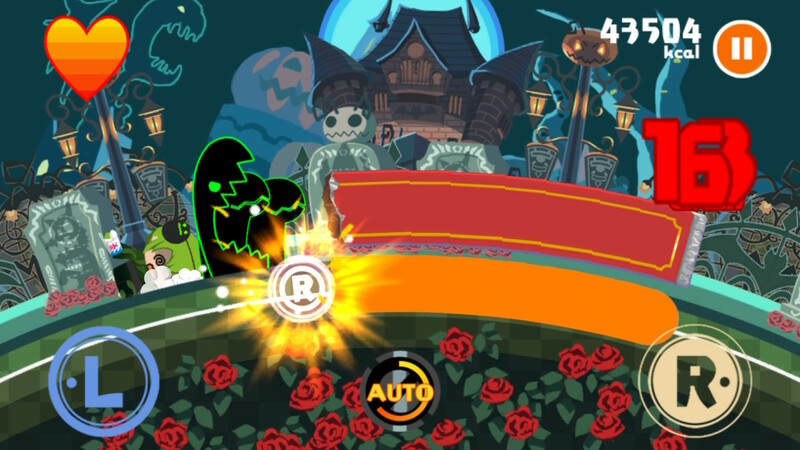 Eat Beat Dead Spike-san’s mobile roots definitely shine through in the Switch version, both in its visuals and in what it is. If you go in expecting a robust rhythm game experience you’re going to be disappointed, but if you’re looking for a decent BlazBlue-themed time waster then you could definitely do worse (Remember BlazBlue Revolution Reburning? I do, unfortunately). I didn’t exactly expect much going into it, and what I found was a decently fun little rhythm game that plays well and has a cute art style and sense of humor. I wasn’t disappointed with what I played, and I would still recommend it if you’re interested, but part of me wishes that there was more to it. It’s not a bad way to spend time for $7 USD on the eShop, actually costing roughly $4 less than the mobile version with all its DLC while coming with three extra songs and better controls. How long you get out of Eat Beat Dead Spike-san depends on how deep you want to go and how long it keeps your interest – I’ve gotten a good few hours out of it myself so far, although I haven’t tackled all of the songs on Hard mode yet – especially since it actually can get quite difficult as you start doing songs on Hard, but I can see myself coming back to the game from time to time when the mood strikes me. My crowning achievement thus far, albeit on my second try.